This is not a good sign for Senator Robert Menendez. The New Jersey Democrat’s corruption trial has just begun and the judge and the Senator’s legal team have already come to blows. 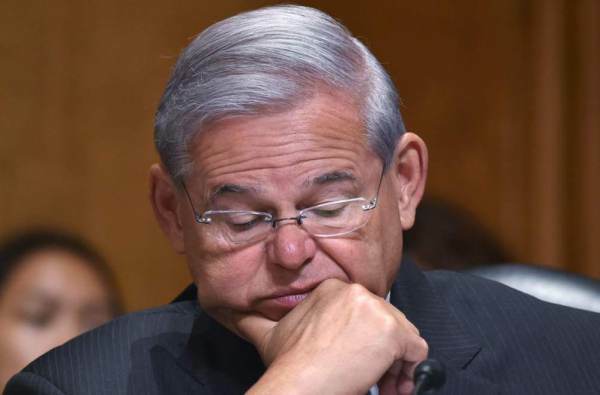 U.S. District Court Judge William H. Walls told a lawyer for Sen. Robert Menendez to “shut up for a moment” as the two engaged in a heated argument during the first moments of the New Jersey Democrat’s corruption trial. Shortly after court proceedings began, defense attorney Raymond Brown criticized Judge William H. Walls for a line in his opinion on Friday that rejected Menendez’s request that the trial be recessed on days where the Senate is taking “critical” votes, so that the senator can be in Washington. “Quite frankly, your honor, that language is extremely prejudicial to the defense and it comes form the court. I think the court has disparaged the defense,” Menendez attorney Raymond Brown said. In a surprising segment by CNN’s standards, the network’s Jake Tapper recently highlighted the Senator’s corruption trial. In 2015, Obama’s Department of Justice charged Senator Robert Menendez with corruption. Federal prosecutors indicted Democratic Sen. Robert Menendez on corruption charges on Wednesday for allegedly using his Senate office to push the business interests of a friend and donor in exchange for gifts​, according to the Justice Department. The case, brought by the Justice Department’s public integrity unit, sets up a high-stakes battle between a New Jersey senator who has fought off investigations for years, and federal prosecutors and the FBI who have spent years pursuing him. “Robert Menendez, a U.S. senator, and Dr. Salomon Melgen, a Florida ophthalmologist, were indicted today in connection with a bribery scheme in which Menendez allegedly accepted gifts from Melgen in exchange for using the power of his Senate office to benefit Melgen’s financial and personal interests,” said Peter Carr, a Justice Department spokesman, in a statement. The two were indicted in the district of New Jersey for one count of conspiracy, one count of violating the travel act, eight counts of bribery and three counts of honest services fraud; Menendez was also charged with one count of making false statements, according to Carr’s statement.